The child has "Pak" written on its back, a term used to refer to Pakistan, according to the OED. The woman is holding a briefcase with the words "terrorist donations by Congres [sic]" on it. A Google reverse image search revealed that the original cartoon was drawn by an editorial cartoonist called David Horsey, whose bio here on the Los Angeles Times website says he has won two Pulitzer prizes. AFP contacted Horsey, who said in an email dated April 4, 2019: "You are correct that the cartoon commenting on the Indian politician was a plagiarized revision of a cartoon I drew that was published in the Los Angeles Times on May 15, 2012." 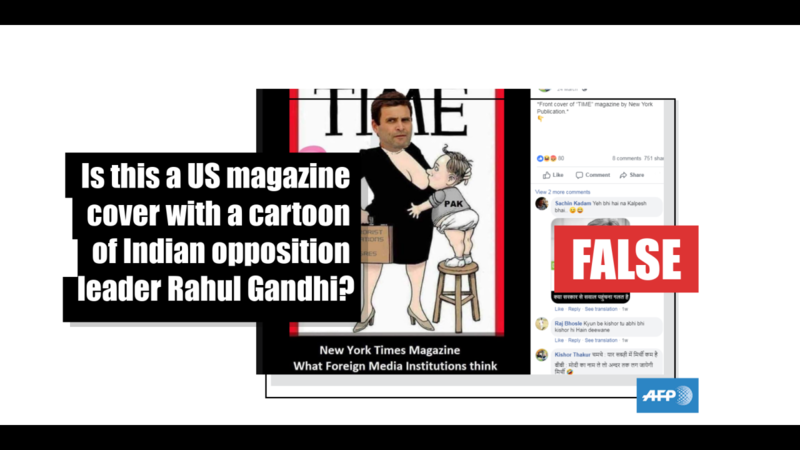 A Facebook post shared hundreds of times claims the front page of a US magazine featured a cartoon of Indian opposition leader Rahul Gandhi. The claim is false; the image carried in the post has been doctored. The original cartoon, drawn in 2012 by David Horsey for the Los Angeles Times, is about corporate donations in American politics. Ihre Familie gehört zur wichtigsten politischen Dynastie Indiens - nun steigt Priyanka Gandhi ebenfalls in die Politik ein. Sie soll das Ansehen ihrer Familie aufpolieren und die Kongresspartei zum Sieg führen. Mit seinem ersten Kinoauftritt gelang ihm der Durchbruch und sein größter Erfolg: Als Filmfigur "Gandhi" errang der britische Schauspieler Ben Kingsley 1982 Weltruhm. Später schreckte er auch vor Trash nicht zurück.